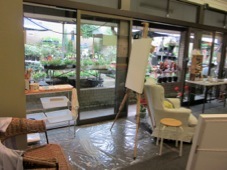 The Little Firefly Gallery is my roving temporary gallery/studio. 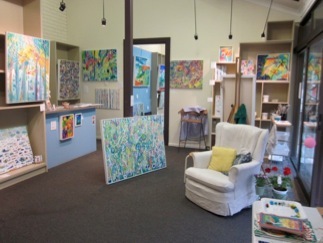 It was born in Lindfield NSW over Christmas 2011 when I set up my first pop-up (temporary) gallery plus studio in a shop which was unoccupied at the time while waiting for a new tenant. 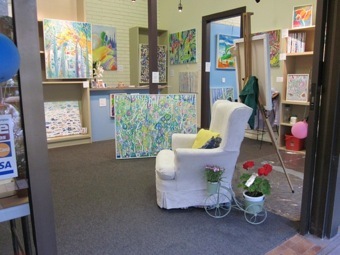 It was wonderful to meet and chat with lots of people. 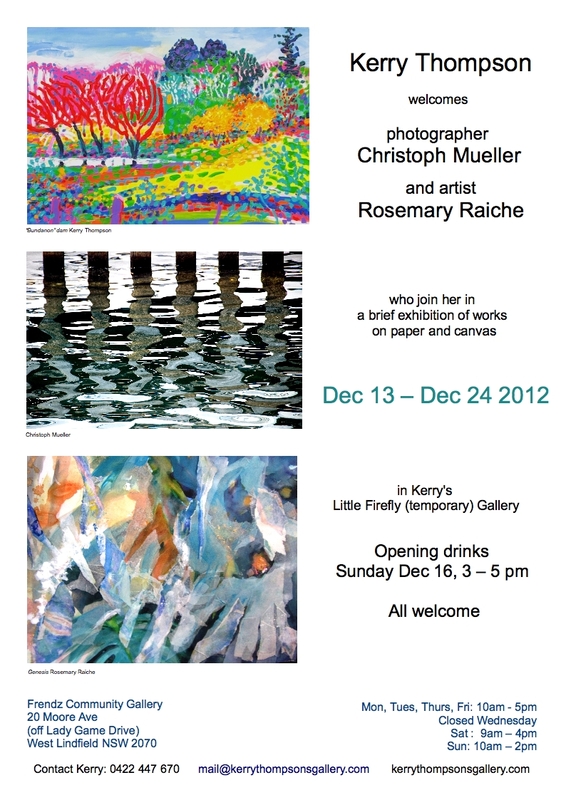 The Little Firefly will alight wherever I am able to be on site to paint and display my work. 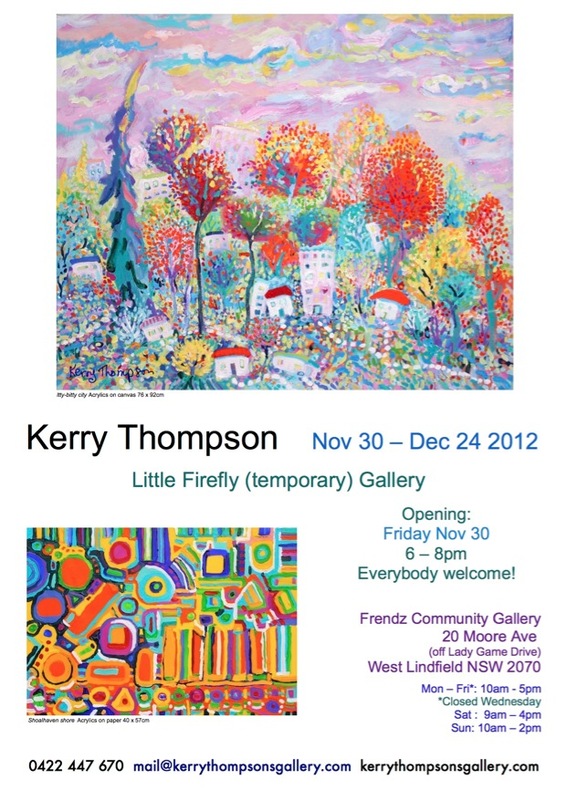 My pop-up gallery, The Little Firefly, popped up at Frendz Community Gallery, 20 Moore Ave West Lindfield NSW 2070 until Dec 24th 2012. 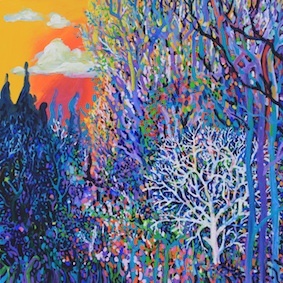 The Little Firefly Gallery popped up from Sept 21 - 23, 2012 at stand B2, Sydney ART EXPO 2012, Hordern Pavilion, Moore Park. 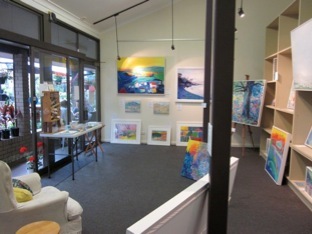 There is free parking for a couple of hours at Fox Studios. 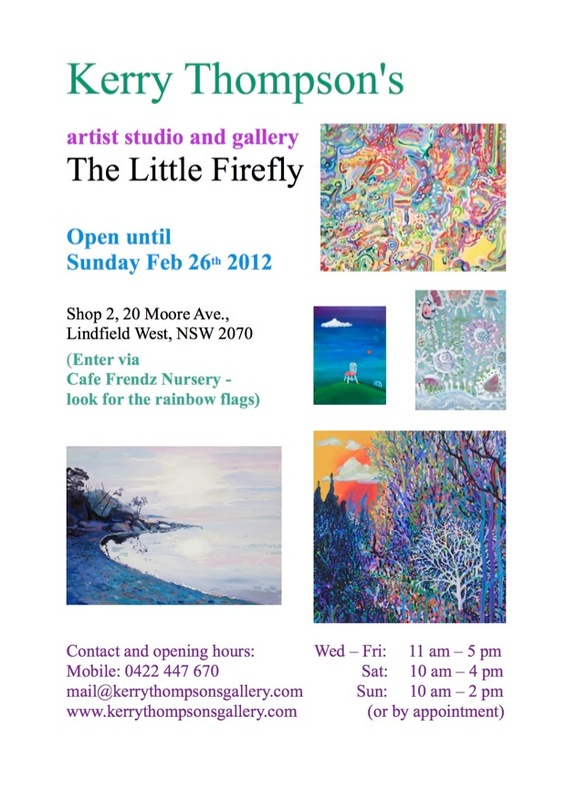 I loved my brand new temporary pop-up Gallery, The Little Firefly, so much that it popped up at 20 Moore Ave in West Lindfield, NSW 2070 Australia (see map below) from December 2nd 2011 until Sunday Feb 26th, 2012 instead of the 17 days originally planned.